Over the past few centuries, Western cultures have been very good at creating general prosperity for themselves. Historian Niall Ferguson asks: Why the West, and less so the rest? He suggests half a dozen big ideas from Western culture — call them the 6 killer apps — that promote wealth, stability and innovation. And in this new century, he says, these apps are all shareable. Every new invention changes the world — in ways both intentional and unexpected. Historian Edward Tenner tells stories that illustrate the under-appreciated gap between our ability to innovate and our ability to foresee the consequences. Thanks for posting these Randall. 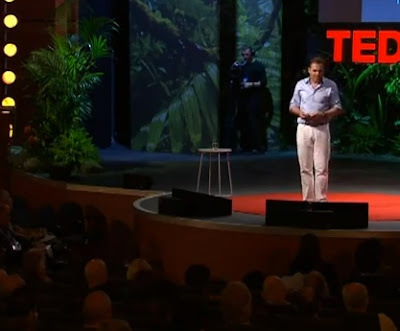 I really like the TED lectures, but why must every speaker wear a trim fit, slightly unbuttoned button-down shirt? Why not a nice sweater vest? Or a Mr Rogers cardigan? Or Bruno's lederhosen?